You’re going to love our January Scent and Warmer of the Month, and we know your customers will, too! 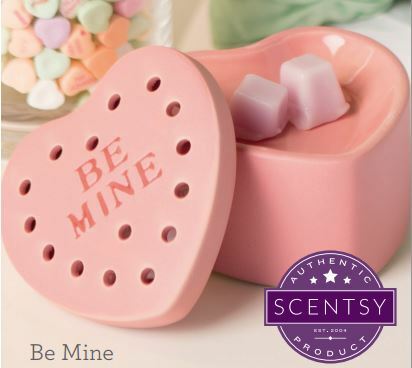 Inspired by the classic Valentine’s Day candies bearing innocent affections, the heart-shaped warmer, Be Mine, is perfect to give or keep as a reminder of your many blessings. And our sparkling January Scent of the Month, Cherished, offers a sweetly romantic blend of goji berry, passion flower, pink jasmine and guava.